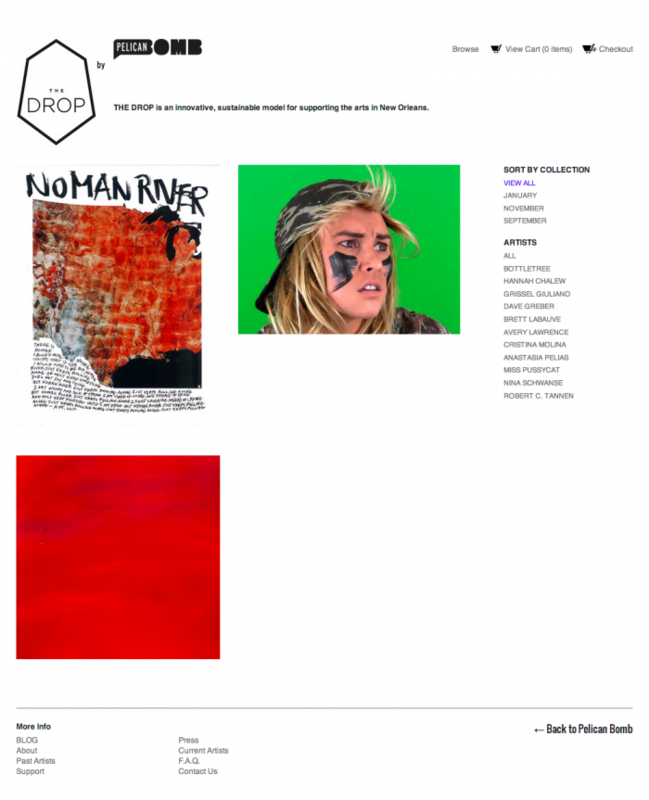 Part of the Pelican Bomb site redesign, The Drop is the retail facet of this online arts platform. 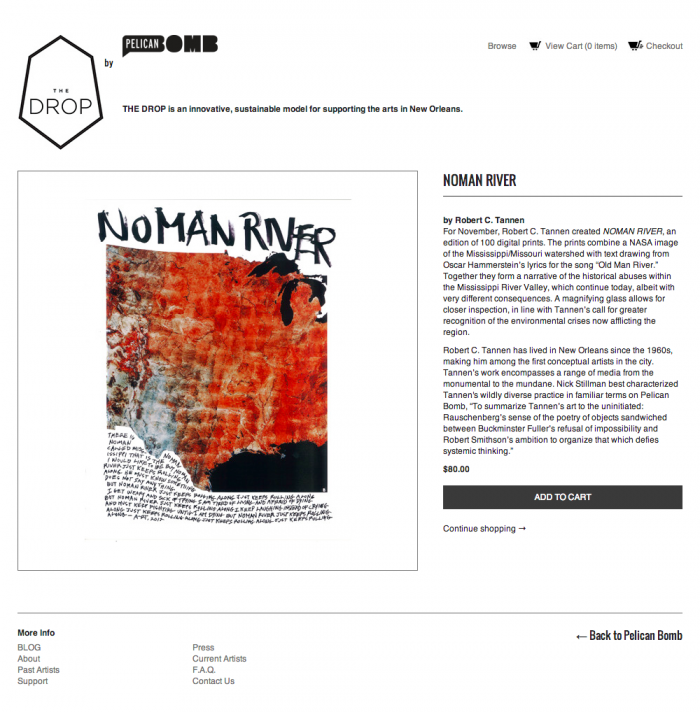 Built with Big Cartel, it is a basic e-commerce site designed to complement the branding of the main Pelican Bomb site. Designed with Alli Miller.